EASTER BANK HOLIDAY WEEKEND SALE HURRY !!! 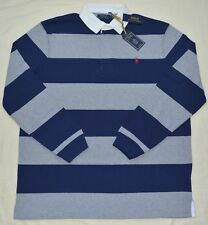 *NEW* Ralph Lauren Polo Shirt In Mens Size M. Condition is New with tags. Dispatched with Royal Mail 2nd Class. Here's a nice shirt by Ralph Lauren, that is in excellent new condition. Shoulder seam to cuff - 27” - Length - 35”. It is a custom fit, has a button down collar & button cuffs. All in all, a good looking, smart casual shirt. Superb Ralph Lauren XL Man's pink shirt - 100% Oxford Cotton. There are no marks or stains. The collar, cuffs and underarms are excellent. Shoulder to bottom of cuff 26” Top of shoulders across the back 21”. Ralph Lauren Men’s Shirt, 4XL, 4XB, 4G, Classic fit, Long sleeve, good condition. Condition is Used. Dispatched with Royal Mail 1st Class. 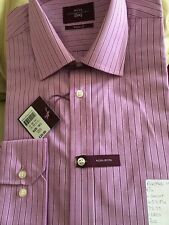 RALPH LAUREN CUSTOM FIT STRIPED SHIRT MEDIUM EXCELLENT CONDITION! Width, arm pit to arm pit 27". RALPH LAUREN POLO 39" Fitted Bttn-Dwn L/S Pink Gingham Check Cttn Shirt(Exnt Cd! Colour; Classic Pink & White Gingham Check pattern. RALPH LAUREN POLO by RL CLASSIC BUTTON DOWN FITTED. Classic Small spit-shoulder Yoke. inc;FINE COOL SOFT HANDLE TWILL COTTON L/S SHIRT. ICONIC RL POLO PLAYER LOGO EMBROIDERED ON LEFT CHEST. GREEN & WHITE CHECK RALPH LAUREN CLASSIC FIT 100% COTTON S/S SHIRT UK XL. Condition is Used. Ralph Lauren Polo Ralph Lauren Polo Ralph Lauren Polo Ralph Lauren Polo Ralph Lauren Polo Ralph Lauren Polo Ralph Lauren Polo Ralph Lauren Polo Ralph Lauren Polo Ralph Lauren Polo Ralph Lauren Polo Ralph Lauren. Ralph Lauren Polo Shirt. Label Size: Large. 'Polo' Ralph Lauren Large Embroidered Player motif on chest. There are manufacturers style distress on the waist vent. BOTTOM OF THE COLLAR TO THE END OF THE BOTTOM HEM = 80CM. BEIGE AND CREAM STRIPE WITH BUTTON DOWN COLLAR AND BEIGE POLO PLAYER MOTIF ON THE CHEST. ARMPIT SEAM TO THE VERY END OF THE SLEEVE = 54CM. 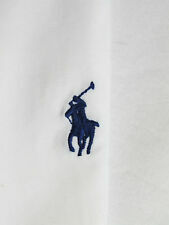 Mens Ralph Lauren Polo Shirt White XL Custom Fit. Condition is Used. Dispatched with Royal Mail 1st Class. Smart 100% Genuine Mens Ralph Lauren Custom Fit Check Shirt In Large. Dispatched with Royal Mail 1st Class. Men’s Ralph Lauren polo shirt, XL custom fit, yellow worn 3 times. Condition is Used. Dispatched with Royal Mail 1st Class. 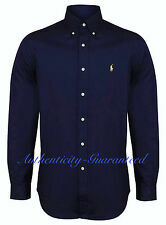 Stunning 100% Genuine Mens Ralph Lauren Custom Fit Check Shirt In Medium. Condition is Used. Dispatched with Royal Mail 1st Class. Genuine Mens Ralph Lauren Custom Fit S/S Check Shirt In Medium. Condition is Used. Worn once to wedding. Dispatched with Royal Mail 2nd Class. navy ralph lauren shirt Age 18-20 But Fits Mens Small. Condition is Used. Dispatched with Royal Mail 2nd Class. Mens Ralph Lauren Short Sleeve Check Shirt Size Small Blue & white Gingham Check. Yellow Polo Pony. Any questions please ask. Thanks for looking. Guaranteed 100% genuine and new with tags. Genuine Ralph Lauren Long Sleeved Men’s White Shirt Classic Fit Size 15 Collar. Condition is New with tags. Unwanted gift. Was purchased from the Ralph Lauren designer outlet at Ashford. Please see photos for tags. Dispatched with Royal Mail 2nd Class. Smoke free home. NAPE OF NECK TO HEM 30". PIT TO CUFF 20". Ralph Lauren Custom Fit Short Sleeve Y Neck Polo Shirt for Men!!!! Ralph Lauren Polo Shirt, Polo Golf, Blue, Men’s, Size Medium, Pro Fit.